It is very rare for people to receive a second chance to do something extraordinary. Seven years ago, I traveled to the Holy Land with the B’nai B’rith Youth Organization (BBYO) as part of their International Leadership Seminar in Israel. While my leadership skills evolved, I caught a virus due to exhaustion and dehydration. While I enjoyed praying at the Western Wall, climbing Masada and floating in the Dead Sea, I was disappointed that I could not join my group as they saw the wonders of Tzfat and swam in the Mediterranean Sea. 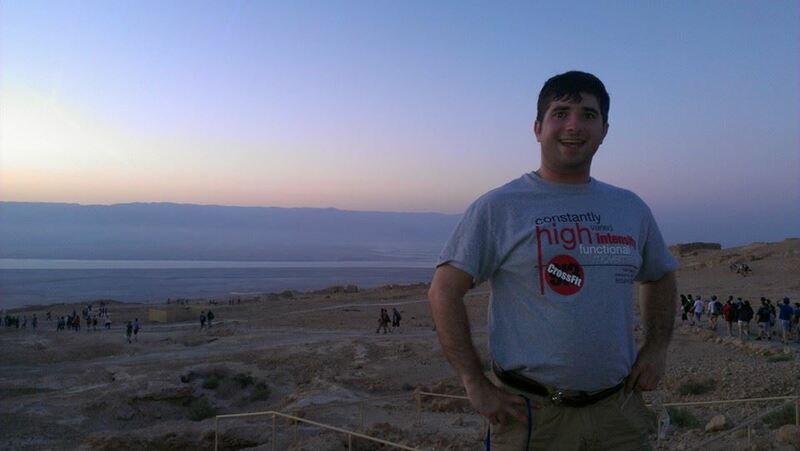 When I heard that Birthright implemented a new rule that encouraged all BBYO, NFTY and USY alums that previously went to Israel to reapply, I immediately jumped on the application process. My brother, Aaron, told me about his trip that he went on: Yael Adventures. After finishing the application process, I learned that I would be part of Yael Adventures’ first trip of the 2014 summer! A few weeks ago, I arrived at JFK Airport and began my second journey to Israel. Another highlight involved my first encounter with a camel. I was first hesitant to go on a camel, because I had a bad experience with horses. However, I did not want to leave the Holy Land with no regrets. After a brief debate with my fellow rider, Andrew, on the name of the camel: Janeway or Camel, it lifted us up from the ground! I immediately smiled and enjoyed the brief travel in the Bedouin Tents in the Negev. 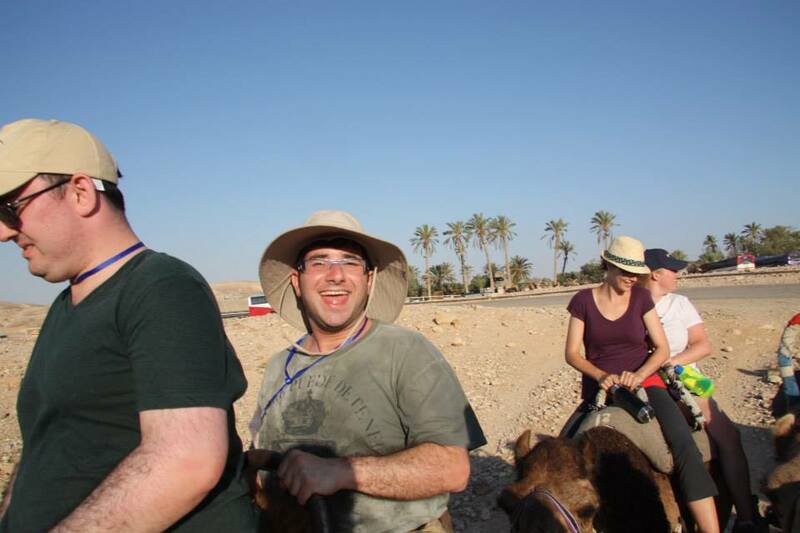 Andrew and I were only a few participants that were able to ride the camels more than once…the rest had to ride donkeys! My final memory that I will always remember is tackling my acrophobia head on. I have always had severe acrophobia ever since I was in elementary school. While I traveled to the top of the Liberty Memorial and the Empire State Building, the ideas of riding a Six Flags roller coaster or jumping off a diving board did not suit me. All of that changed when I visited the Negev and near the Syria border. My group traveled to both Masada, where we climbed the Snake Road (one of the fortress’s most difficult routes). In addition, I also walked down from a massive cliff without any safety harnesses. Both of these adventures I would not have tackled and conquered these challenges without the support of my fellow participants! This fantastic group of individuals came from all parts of United States to learn more about the Land of Milk and Honey. I will always remember the lighting-in-a-bottle chemistry that rarely comes with a group of strangers. From singing on the bus to laughing while playing Cards Against Humanity, these are priceless memories that I will never forget. Solidifying our group were our four incredible staff members. Liraz, our outstanding tour guide, went beyond the call of duty and delivered one of the best tours I have ever participated in. Our leaders, Jemma and Jonas, took the opportunity to make sure everyone was included and shared their respective insights about Israel with us. Lastly, Dor added the extra ounce of dedication and energy that made everyone smile. During our final days, the group welcomed eight new faces to our family. These eight new faces represented different branches of the Israel Defense Forces (IDF). They reaffirmed our increased love of Israel and successfully inserted their unique personalities into our amazing group. Final thought: I am so happy that I took the chance and did this trip. 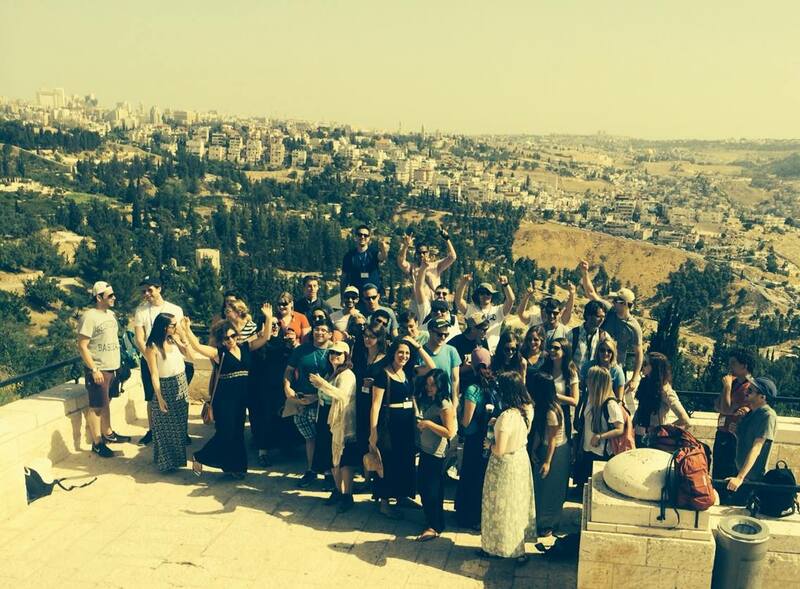 I overcame so many obstacles, discovered new places in Israel and made friendships that will last a lifetime. I hope that every American Jew has a chance to do Birthright! You will not regret it!